HFPA journalist Jenny Cooney met the powerhouse wife-husband writing-producing team, funny and witty Amy Sherman-Palladino and Daniel Palladino at the Hollywood Athletic Club. 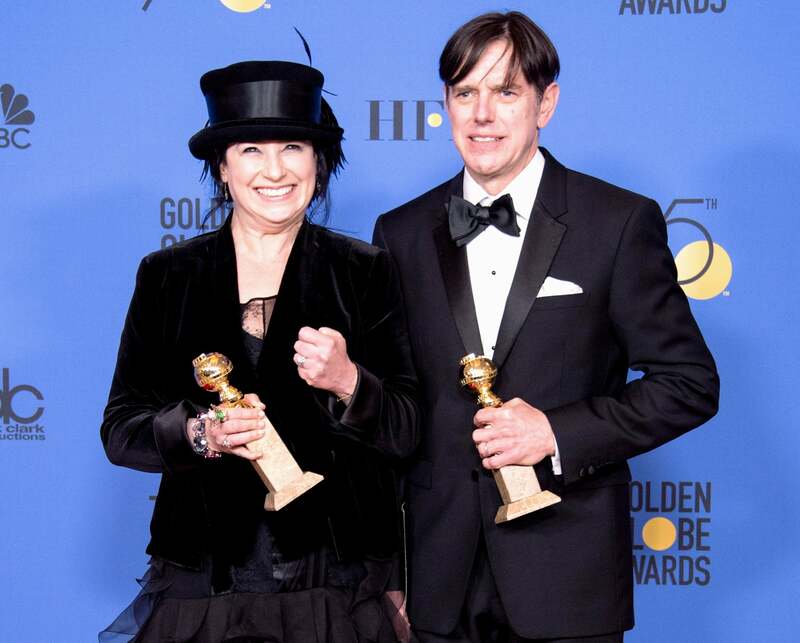 They have created TV shows like Gilmore Girls, Bunheads and the Golden Globe-winning comedy series The Marvelous Mrs. Maisel. They met through Amy’s former writing partner at the time. Amy was writing for Roseanne, Dan got a job on the TV show and a year later Amy left. “The world of comedy is a rough world and it's not puppies and rainbows and unicorns. Comedy comes from darkness, it comes from unhappiness, it comes from loneliness and anger”, Amy tells. Listen to the HFPA in Conversation podcast and learn why no psychotherapist would want to see this creative couple, why Amy didn’t become a dancer, why Dan got his first job as a writer, why Amy is great at being unemployed and many more interesting stories about their life.